Apple HomePod's 'Welcome Home' spot from director Spike Jonze and TBWA\Media Arts Lab is sure to be a Cannes Lions favorite. Tens of thousands of marketing campaigns are submitted each year to the Cannes Lions International Festival of Creativity. Only 10 percent will make it to the shortlist, per festival organizers, and a mere 3 percent will win a Lion. So one might think that predicting any winners, much less those likely to claim top honors, would be an impossible mission. But agency Leo Burnett has been issuing such predictions for 31 years now—and last year’s forecast was spot on: All 25 of its picks came away with a Lion. And this year, the agency is sitting out the awards circuit as part of parent company Publicis’ one-year trophy hiatus, making it a truly neutral oracle of the Riviera. Showered with Lions in 2017, Spike Jonze’s frenetic ad for Kenzo starring Margaret Qualley was a sensory-overloading masterpiece. 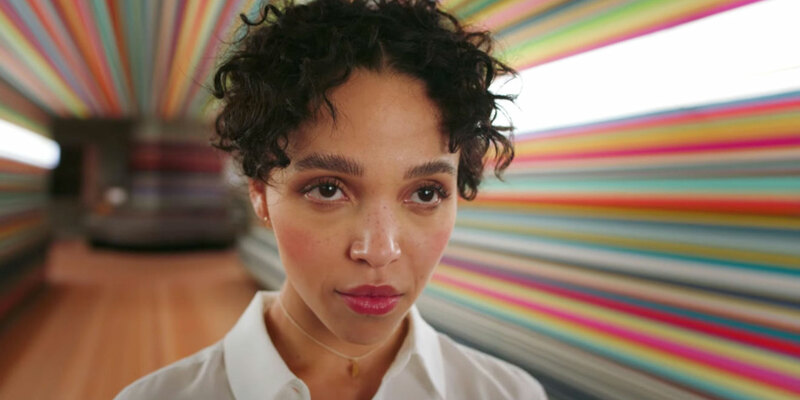 But this year, he created something even more wondrous in “Welcome Home,” a four-minute spot for the Apple HomePod following dancer FKA twigs through a metamorphosis that reshapes both her mood and the very world around her. Agency: Saatchi & Saatchi N.Y.
Meta ads referencing other ads are nothing new, but Saatchi N.Y. flawlessly executed the extreme version of this approach with its 2018 Super Bowl campaign. Perfectly cast with Stranger Things’ David Harbour, the effort won a Black Pencil at D&AD and stands to claim more hardware at Cannes (with client P&G picking up the entry fees during parent Publicis’ fallow year). What do you say when you’re a chicken chain that’s run out of chicken at hundreds of locations? KFC U.K. and agency Mother London found the perfect response to that exact PR disaster with “FCK,” a minimalist and unforgettable ad headline that conveyed humility and regret, along with a good bit of classic British cheek. If an island nation’s children asked you to not damage their homeland’s lush environment, wouldn’t you say yes? That’s the simple premise behind an otherwise massively ambitious campaign called “The Palau Pledge,” which requires all tourists to sign an environmental-stewardship pledge, stamped right into their passports. The bold work included permanently changing its immigration policy and creating a video about the pledge, which all visitors must view during inbound flights to Palau. On Nov. 22, 1963, President John F. Kennedy was on his way to give a speech at the Dallas Trade Mart when he was assassinated. In March, British news outlet The Times and agency Rothco recreated the speech Kennedy never gave, using AI to build the audio based on his prepared statement and an analysis of 831 recordings. Ikea has built a wealth of advertising ideas around its catalog, but this campaign actually made the entire periodical obsolete. World-champion memory expert Yanjaa Wintersoul memorized the catalog’s every last detail, then fielded questions from dubious agency reps and, eventually, the public via a live chat to prove her skills. For non-Londoners, this three-minute spot may feel impenetrable at first, jumping pell-mell from one slang-slinging athlete to another, each one-upping the last with descriptions of how hard it is to pursue his or her passion. But the Megaforce-directed ad is one you’ll quickly want to watch again and again in hopes of finding and deciphering all the details you missed on the first viewing. “To fight the problem, first we need to face it.” That’s the premise behind this campaign, which intricately carved faces of opioid overdose victims onto 22,000 pills to represent the number of fatal overdoses in 2017. One pill was carved every 24 minutes—or the average time between each overdose in America. In one of the boldest pieces of U.S. advertising in 2017, P&G illustrated the emotional heartbreaking conversations many black parents have had with their children across several generations, trying to help them understand the inexplicable: Why the world will treat them unfairly simply because of their skin color. 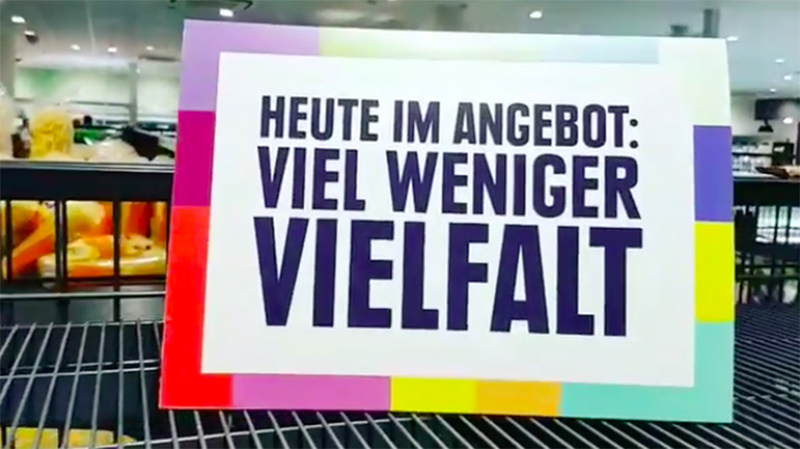 Amid a rise in nationalism across many countries, German grocer Edeka and its agency made a powerful point about the real, easily overlooked benefits of global commerce. The supermarket removed all foreign goods from its Hamburg location, creating “The Most German Supermarket”—which also turned out to be nearly empty. Many campaigns get described as “ambitious,” but most seemingly risky marketing stunts don’t have much risk of failing. With Breaking2, Nike’s push to help a runner complete a marathon in under two hours, the brand faced the very likelihood of not reaching its goal. And sure enough, the daunting barrier remains in tact, despite all the brand’s best efforts alongside agency partners like Wieden + Kennedy and Dirty Robber. But the innovations developed along the way could still change running forever—and might someday help reach the now-seemingly-obtainable 1:59. The roads are filled with a bunch of clowns, and your safety depends on avoiding them. That’s both the figurative and literal message in Audi’s visual ballet of narrowly avoided accidents via buffoonish drivers. Although BBH parent company Publicis has prohibited entries in Cannes this year, Audi UK is reportedly footing the tab to cover the entry fee. Is a Super Bowl ad still a Super Bowl ad if only one person gets to watch it? That’s the existential riddle at the heart of “Exclusive the Rainbow,” a sly stunt from DDB Chicago that created (and heavily promoted) a Super Bowl ad that would be viewed by only one random person: Marcos Menendez. Skittles promoted the effort wtih teasers starring David Schwimmer, and while we still haven’t seen it, you can at least hear Menendez’s description of the spot. 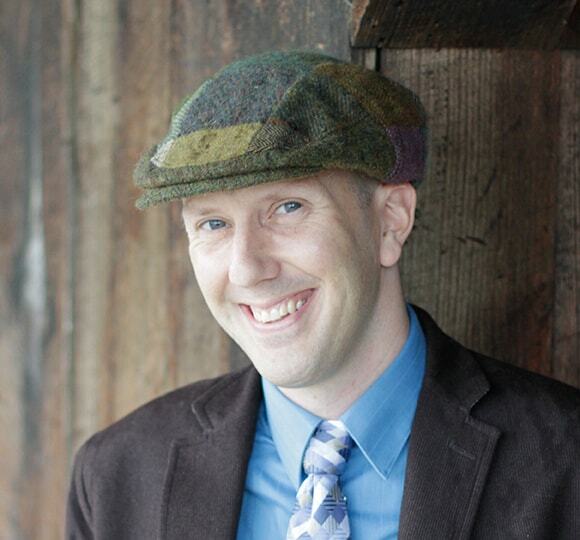 Had your fill of sarcasm, skepticism and snark in ads? Then you might be in the mood for this lovely little moment created by agency VCCP. It’s refreshingly simple, beautifully crafted and leaves you feeling the way a good bar of chocolate should. What is this wizardry? Snaptivity, an app and AI platform backed by R/GA’s IoT Venture Studio UK, uses a combination of robotic cameras and nearly instant visual analysis to take pictures of the most exciting moments during a sports match. Stadiums integrate the cameras, and the app lets you enter your seat number, then receive selfie-like photos of your reactions to the most dramatic bits of each game. When Stephen King’s It became 2017’s biggest Halloween hit, Burger King cashed in brilliantly with “Scary Clown Night,” which offered free Whoppers to anyone who came into a location on Halloween dressed as a clown. A not-so-subtle dig at rival mascot Ronald McDonald, the stunt was the brainchild of Francisco “Pancho” Cassis, executive creative director at LOLA MullenLowe in Madrid. 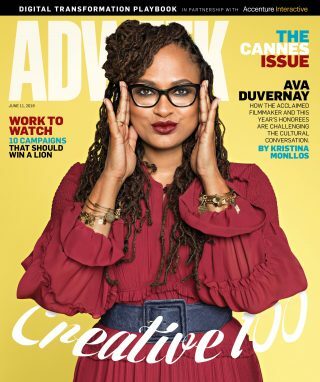 (Cassis was recently honored in Adweek’s Creative 100 for this and other innovative marketing ideas.) From concept to execution, the global stunt was pulled off in mere weeks, with most of the minimalist planning taking place via a WhatsApp chat between Cassis and his client, Burger King Global CMO Fernando Machado. Sometimes a serious problem calls for a ridiculous solution. Confronting the global epidemic of plastic waste crowding our oceans, a London-based creative team lobbied the United Nations to create a new country called “Trash Isles,” which had its own currency (in denominations such as 50 Debris), passports, stamps and flag. Al Gore became the first “official” citizen, and entertainment site LADBible claimed the nation as its own. If you’ve got an adorable dog and a smartphone, there’s roughly a 100 percent chance that you’ll occasionally want to take a selfie with your canine friend. But, as anyone who’s tried such a photo knows that dogs couldn’t care less about a lens and will typically look at just about anything else rather than stare wide-eyed into the camera for that perfect shot. Pedigree and New Zealand agency Colenso BBDO solved that (first-world) problem with a brilliantly simple creation: SelfieSTIX, an attachment that lets you mount a treat on top of your phone and get your dogs’ eyes looking in the right direction. Hey, it’s not solving a global crisis, but sometimes you have to celebrate the little victories.